No matter how good our intentions are, many of us are guilty of waiting until the last second to buy gifts. However making that our standard way of gift shopping is not doing us any favours. Here are 5 good reasons to plan ahead and shop early. 1. Gifts bought at the last minute are not chosen with the recipient in mind. The purchase ends up being based on convenience for the shopper and it usually shows. 2. It is more expensive. When you have not had time to think and plan ahead you will usually pay more for an item than you intended or it is worth. But you justify the extra cost due to time constraints. If you are buying someone a gift, you are hoping they will like and appreciate it. This puts stress on you the shopper to find something appropriate for them. Plus the stress of shopping within tight time constraints in our already over busy lives is enough to make the whole process unpleasant. This stress can go to a whole new level if you are trying to purchase corporate gifts for work at the last minute! 4. If you are shopping online or placing a large corporate gift order, delivery times must be taken into account. You are risking the gift not being delivered in time. This is particularly the case at Christmas, when most mail and courier companies are already working at over-capacity and delivery times are extended by up to a week or more. 5. Shopping early can make you stand out from the crowd. When sending corporate gifts at Christmas, seriously consider having them delivered a couple of weeks early. 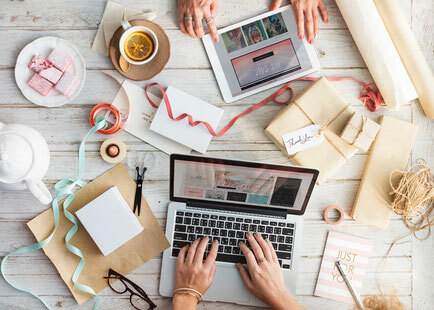 By being one of the first gifts someone receives, the present (and your company) will be more memorable rather than arriving among a pile of other gifts just before Christmas. Gift shopping doesn’t have to be another task to add to your busy day. Plan and shop ahead and save yourself time, money and stress! 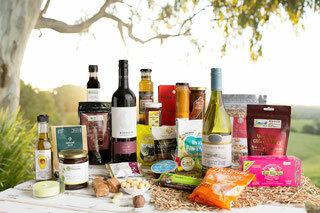 Spread Cheer with our gorgeous hampers! Believe it or not, we have less than 100 days before Christmas! Say "Happy Christmas", "We Appreciate You" or " Thank you" this year with one of our amazing hampers - generously filled with delicious Sunshine Coast sweet and savoury treats! Our Christmas Hamper catalogue is here!